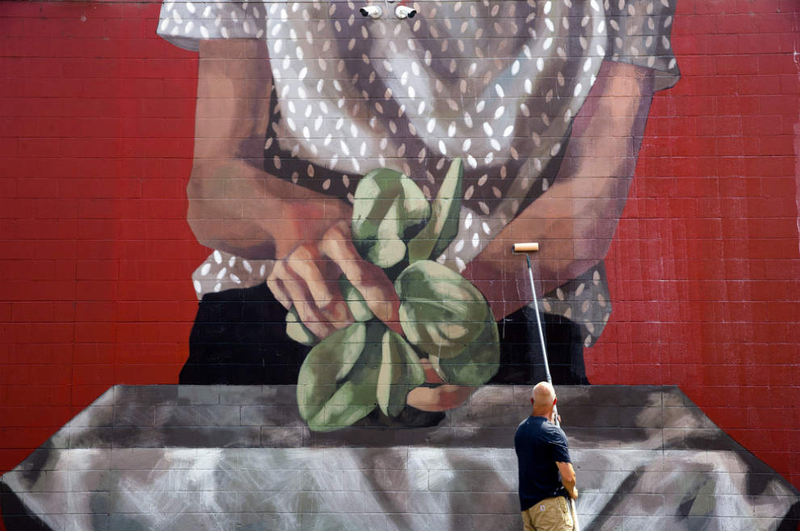 Portland-based anti-graffiti expert Paul Watts of Graffiti Removal Services applies The World’s Best Graffiti Coating to the mural painted by artist Hyuro on the walls of The Kiva grocery store in downtown Eugene. Protecting the mural is a two-part process, with Watts first applying Mural Shield directly to the mural to seal its vibrant colors and sharp lines against ultraviolet fading and other environmental effects. He then applies The World’ss Best Graffiti Coating, which can be washed clean should the mural be vandalized or become dirty.